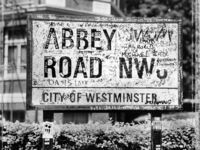 In celebration of the event, 80 Years Of Recording At Abbey Road Studios – hosted by the authors of the Recording The Beatles book, Brian Kehew and Kevin Ryan – we caught up with Brian Kehew and asked a few of our own questions about those early days of recording history. First of all, tell us a bit about yourselves and how you came to become the experts on recording at Abbey Road. “Both Kevin Ryan and I are multi-tasking; we’re musicians, engineers, producers, writers. In our work, it was so common to realise that The Beatles’ work was special, not just in a ‘The Beatles are popular’ way, but relative to the serious work of engineering and production. “Independently, we both started to research books on how the records were made. We met along the way and joined forces, which was definitely needed for such a massive task. The trouble was, most of the information was not kept nice and tidy in a file cabinet. “So we used every possible resource – people, photos, tapes, written records, etc. It took us all over the world, as some pieces were in Amsterdam, and other pieces were in Australia! Posted by joetheflow on March 7, 2012 in I Don't Know, Music and tagged Abbey Road Studios, Audio, Beattles, Brian Kehew, History, Interview, Kevin Ryan, Music, Recording.